Dunbar and Boardman: How do your ensure that a high-rise can cope with the needs of the people using it? 5 Considerations. How do your ensure that a high-rise can cope with the needs of the people using it? 5 Considerations. Elijah Otis’ invention of the over speed governor and safety brake in 1853 was a turning point that enabled elevators to be used in high-rise buildings. By the 1880s the first high-rise buildings were constructed in the USA and by the mid 20th century high-rise buildings existed in many cities throughout the world. Cities with dense populations require increased numbers of high-rise buildings and each high-rise presents a number of challenges that need to be addressed prior to ground being broken and a project starting the build phase. There are 5 considerations listed below. Involve a specialist lift company at the initial orientation phases of a high-rise construction project and ensure that calculations are made for the number of people who will need to be moved vertically throughout the day. These calculations are fundamental to the success of the completed building. Managing the daily traffic flow of people up and down the building in what is referred to as vertical transportation is one of the biggest challenges facing any building contractor. What sort of elevator system should be used? This will depend on the traffic flow estimates for the building. How many elevators will be needed? Is it advisable to use a double deck system? Should shuttle elevators and escalators be deployed? Elevators account for between 2-10% of a building’s energy consumption. Depending on the traffic requirements of the building it may be advisable to establish a system of Destination Selection Control (DSC) that will both limit energy consumption and transport people in the most efficient way by grouping destinations. In recent years innovations such as solar powered elevators have increased the energy efficiency options available in some cases. How will the building be maintained on an ongoing basis? The design and creation of Building Maintenance Units (BMU) is specialist work and needs to be addressed during the initial stages of a building project. 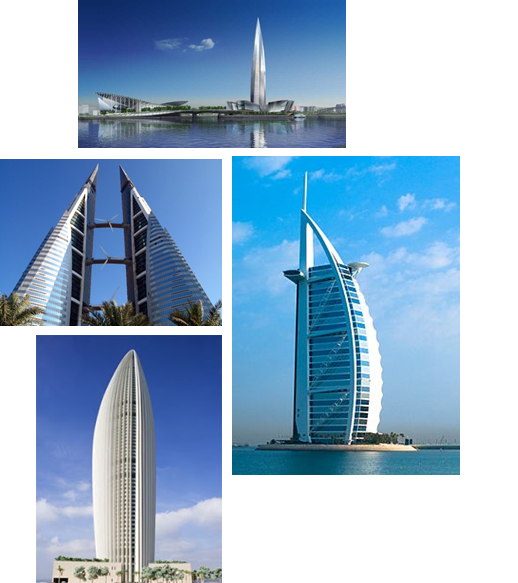 We worked on the iconic ‘Burj al Arab’ and have successfully designed and installed Building Maintenance Units and Destination Control systems. We have also provided Maintenance Management Services for many buildings. Do you have a new high-rise project that you’d like to discuss with us? Please give us a call on T +44 (0)20 7739 5093 or send us an email via peterboardman@dunbarboardman.com to start the conversation. We look forward to hearing from you.